As a courtesy to our clients, we provide a reminder service by text and email for when vaccinations and dental check-ups are due. It is the responsibility of the owner to ensure these are up-to date. 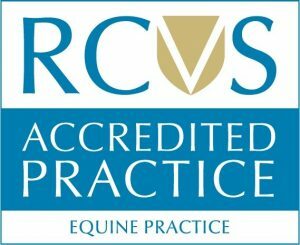 If your horse requires emergency veterinary treatment, is anyone authorised to call us on your behalf? Please tick the boxes below to tell us the ways you would prefer to hear from us. We will not sell your data, will keep your details secure and will never share them with third parties for marketing purposes. It is sometimes necessary to share your information with partners involved in your horse’s treatment, such as equine veterinary hospitals or paraprofessionals. Please indicate below the ways you consent your data be used. I would like to receive communications by email, this includes vaccination and check-up reminders, as well as the occasional update from the practice, including news and offers. I would like to receive communications by text message (SMS), this includes vaccination and check-up reminders, as well as the occasional update from the practice, including news and offers. I consent to my contact details and horse's clinical history being passed to my insurance company following my submission of a claim form. I consent to my contact details and horse's clinical history being passed to a referral veterinary hospital associated with my horse's treatment. 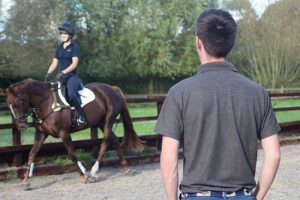 I consent to my horse's clinical history being discussed with paraprofessionals involved in my horse's care - this may include farriers, veterinary physiotherapists, osteopaths, chiropractors, equine dental technicians. By submitting this registration form, I agree to be bound by GVG Brooks Equine Veterinary Practice's terms and conditions of service. These can be viewed here.